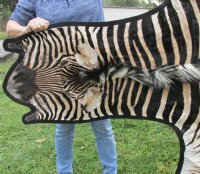 A-grade Real African zebra skin (Equus burchelli) rug for sale, zebra skin area rug imported from South Africa. 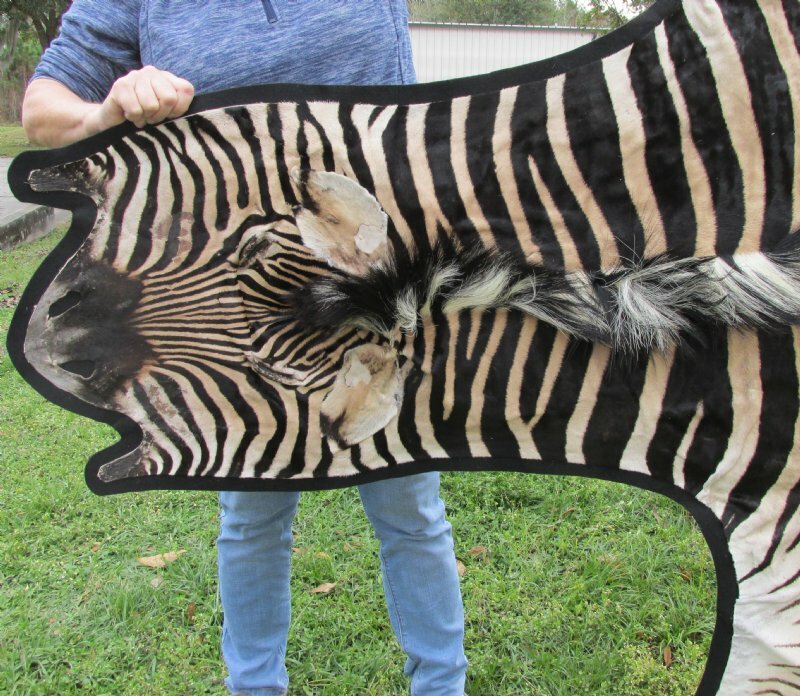 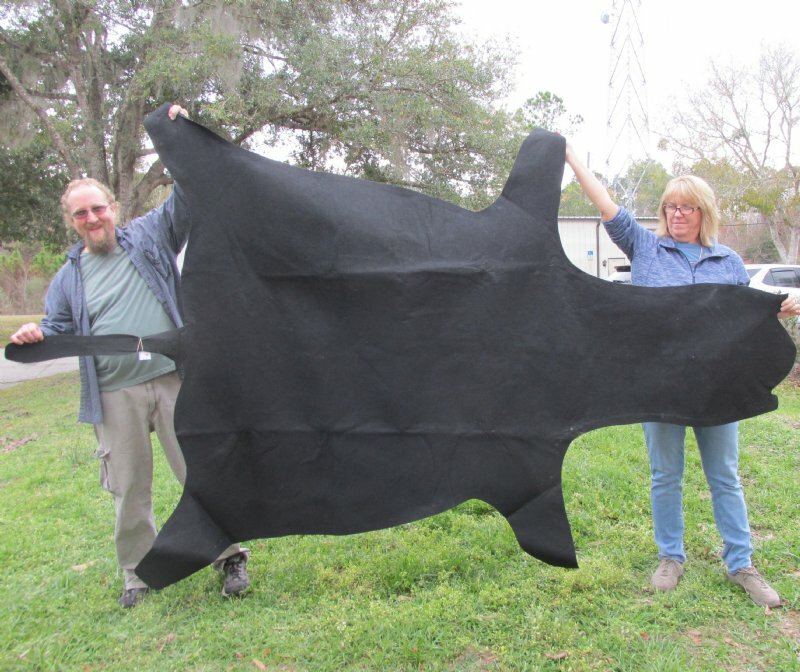 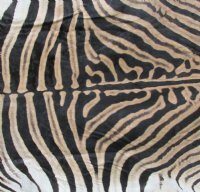 This is a real African zebra skin area rug lined with a black felt backing and measures approximately 95 inches long from the base of the tail to the nose by 60 inches wide measured across mid back. 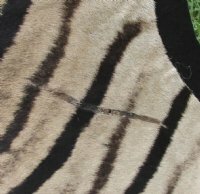 Minor bald spots on face and ears around front leg and base of tail, and scratch near back leg- review photos. 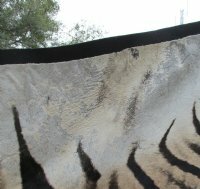 Our real zebra skin area rugs are professionally tanned in South Africa. 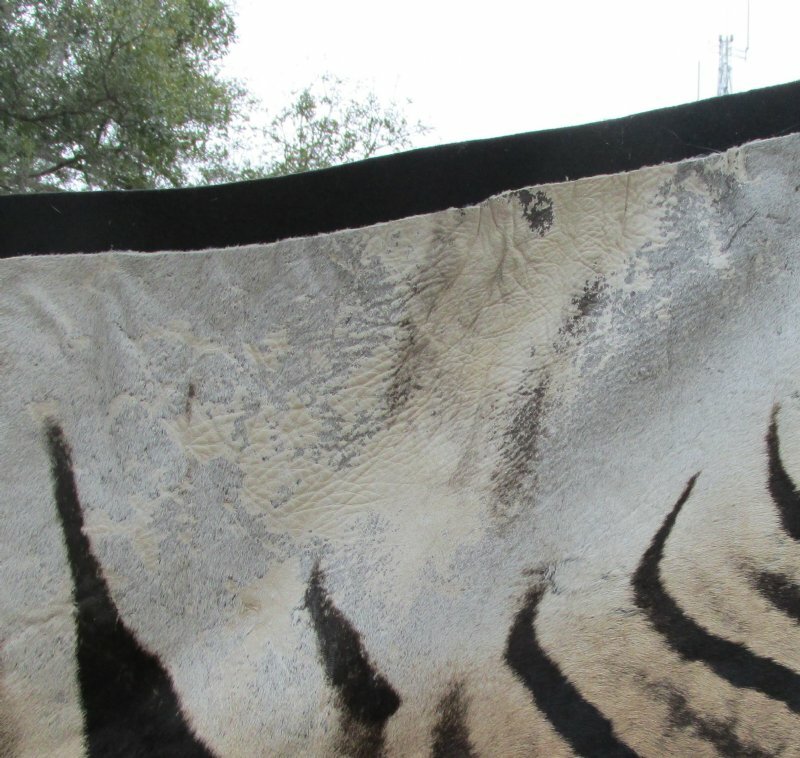 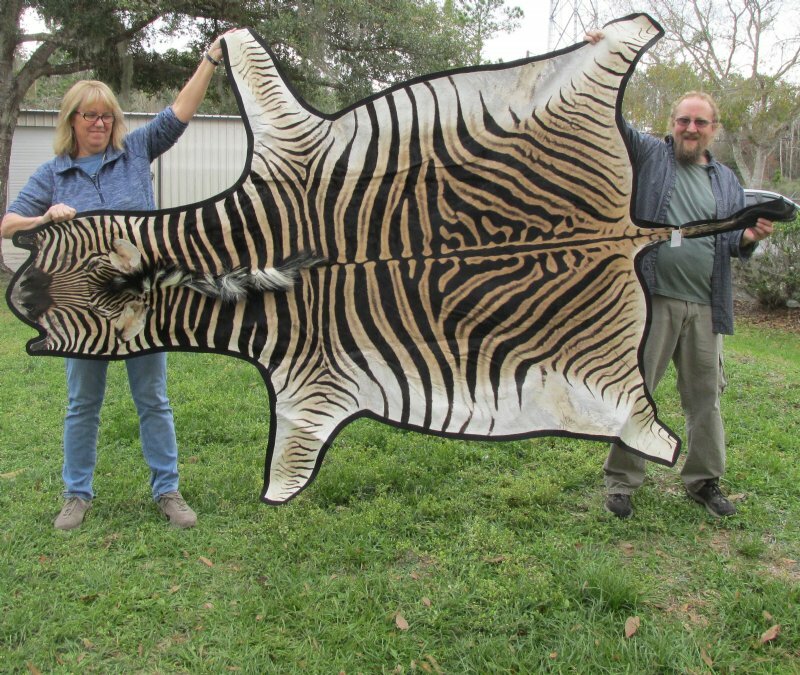 This zebra skin was harvested in accordance with the African government's culling program. 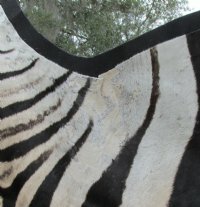 All zebra skins will have small imperfections from the zebra living in the wild. 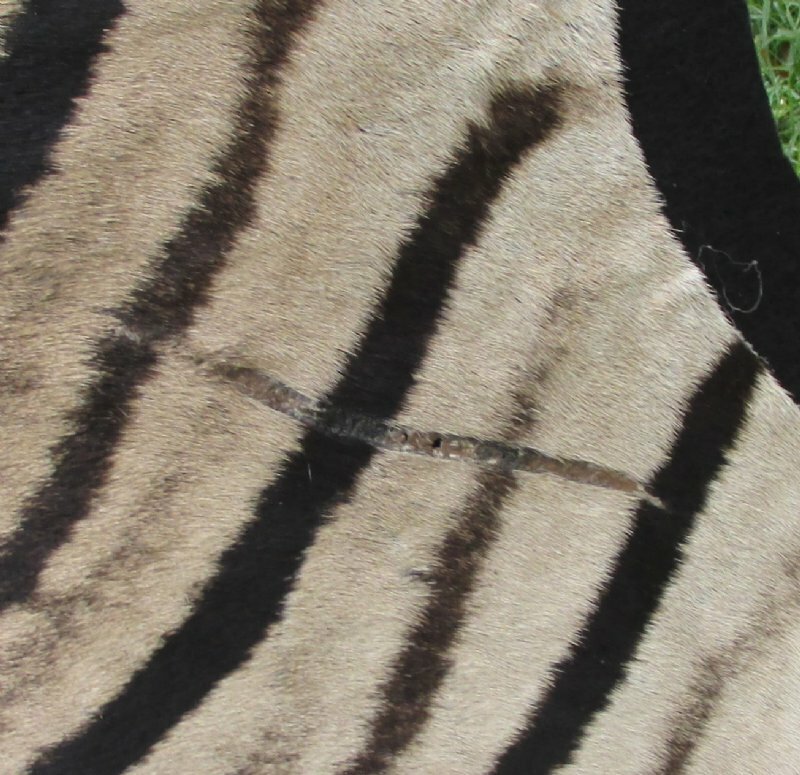 These skins may have patches, repair stitching, and other small imperfections. This is the real zebra skin you are buying. 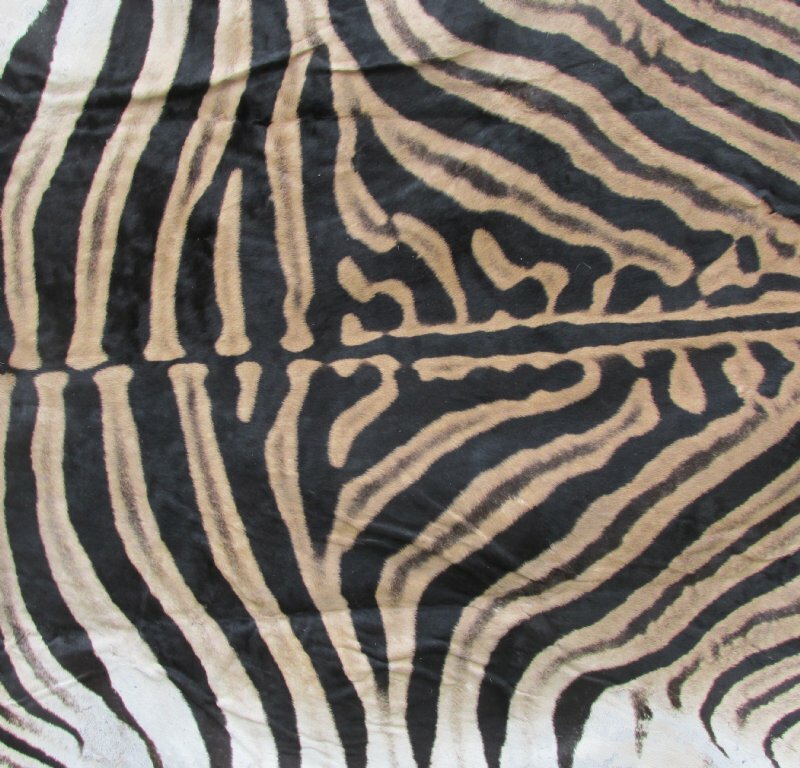 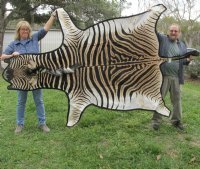 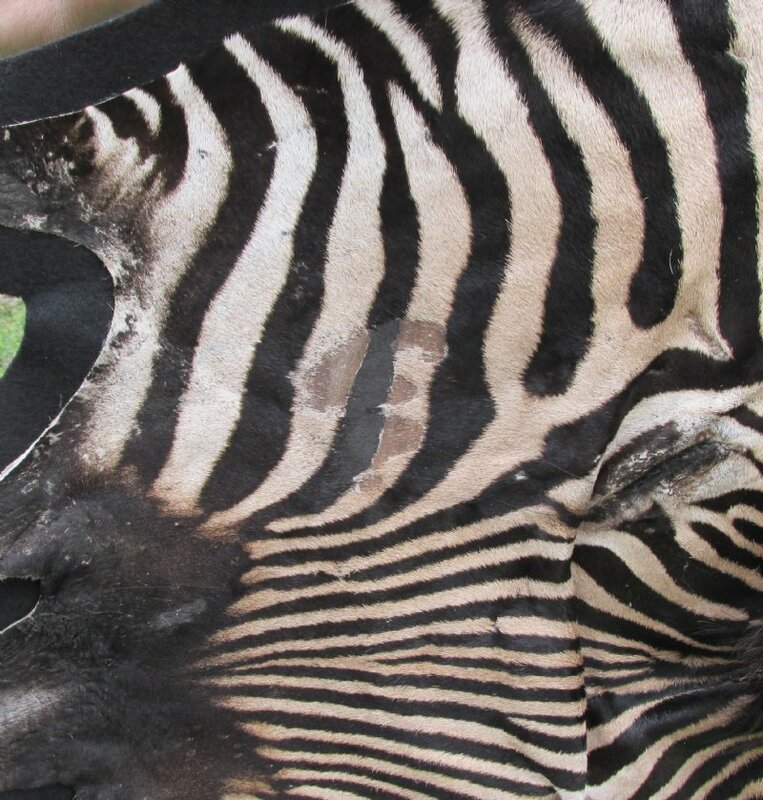 We are direct importers of African zebra skins -- NO middle man!!! 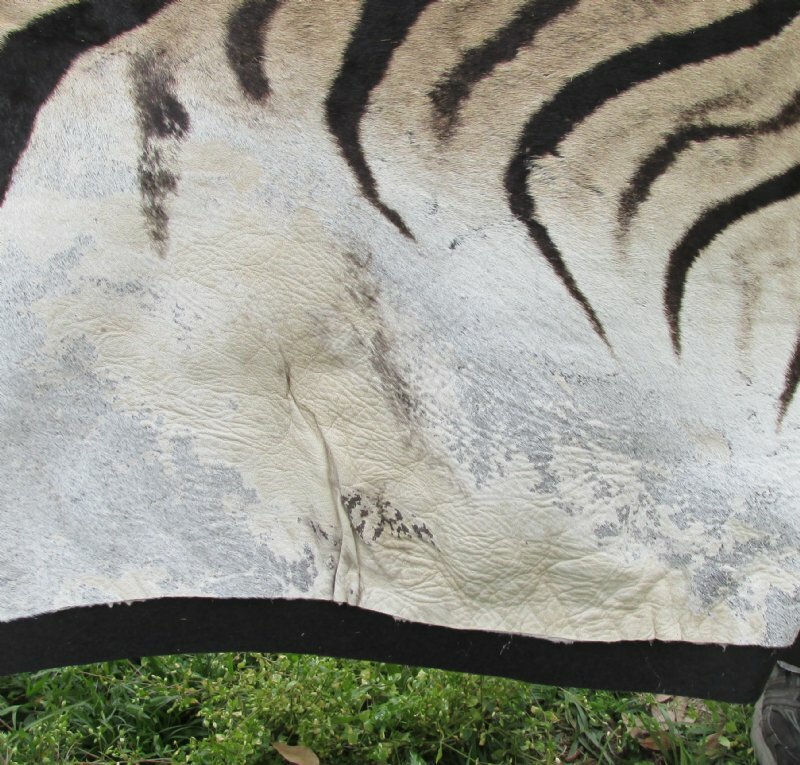 This skin will be shipped UPS insured with an Adult Signature Required. 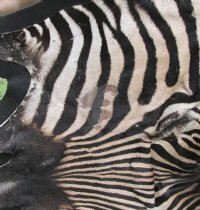 Make sure you provide a business address or an address where someone is always home.